After taking the Stenciled class I've really become intrigued with mixed media. I am not a complicated stamper, so I wasn't sure if it was something that would really fit in with my stamping. I decided to try some of the Mix-Ability challenges over on Splitcoast. I started with the first one and will work my way through them as I have time. I hope to learn a little something along with way. :) For this one we had to use a matte finish and a shiny finish. I used gesso (tinted Coastal Cabana) and embossing powder. Go to the head of,the class with this one! Love it! Part of the reason I follow your blog is that our styles are so similar. I love this card and I've not been a fan of mixed media because it seems to me that people put too much "stuff" on them. This is awesome! I wouldn't hesitate to gift this to someone -- consider yourself an enabler. I'm going to have to try my hand at this as soon as I can get some of the products I need. I adore the color -- BEAUTIFUL! Laila looks so cute in pink and I have a feeling she loves being out of doors and just doing something -- such a cutie! So, so pretty! I will have to give this a try. It's been a while since I pulled out the watercolor paper. 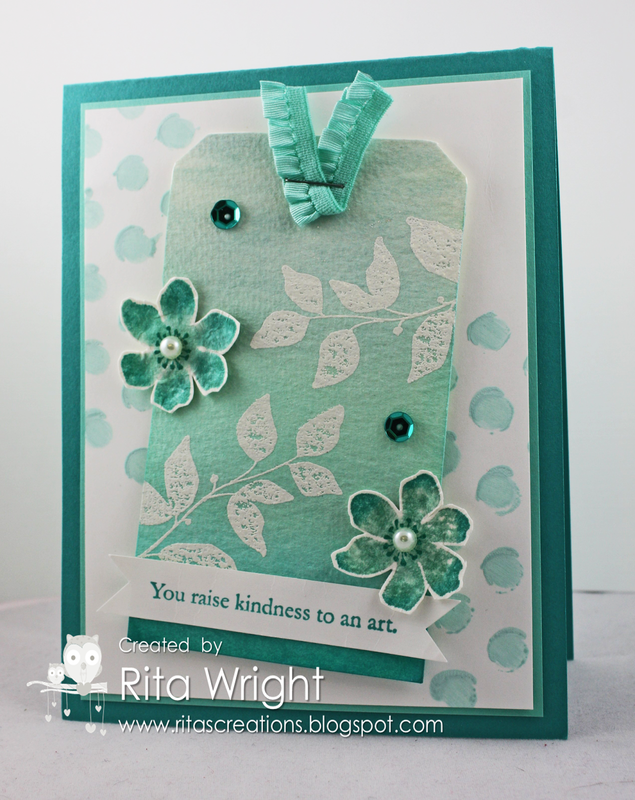 Gorgeous card Rita, so very pretty and feminine. Sorry that I am a few days behind...love your card!!!!! Sweet pics of Laila at the park!